With more 200 linear accelerators around the world in operation for research, and more than 8000 linear accelerators serving industrial and medical application, future linear colliders played a small but important role at the LINAC14 conference this week in Geneva. It's R&D for future facilities that could make all linacs more efficient and reliable. 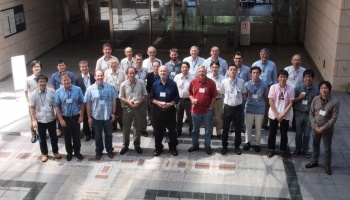 The next big linear collider meeting, LWS14, will take place in Serbia next month. Mike Harrison, Associate Director for the International Linear Collider, explains how this gathering will be key for the ILC project to discuss cross-cutting issues between the accelerator and detector communities and the workshop will emphasise on site-specific design. It should provide the forum to allow a final review by all the interested parties before adopting the new design into the ILC baseline. 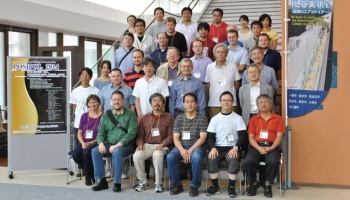 It's meeting season in North Japan: a series of workshops held in Ichinoseki as well as in Tokyo brings together linear-collider scientists from all sorts of backgrounds: polarisation, particle sources, detector design, physics studies, and, coming up, machine-detector interface and civil engineering. Not only are particle detectors essential to making discoveries in particle physics, they also play important roles in industry, science and medicine. Such an accelerator would make for something of a partner to the International Linear Collider, the proposed successor (in spirit) to the LHC, which would initially achieve collision energies near 500 GeV and, later, 1,000 Gev, easily dwarfing not only the proposed Beijing collider but anything yet built or even imagined. Particle physicists in China have unveiled plans to build a huge 52 km particle collider that would smash electrons and positrons together to study the Higgs boson in unprecedented detail. The so-called “Higgs factory”, if given government approval, would be built by 2028 and put the country at the forefront of international particle physics.